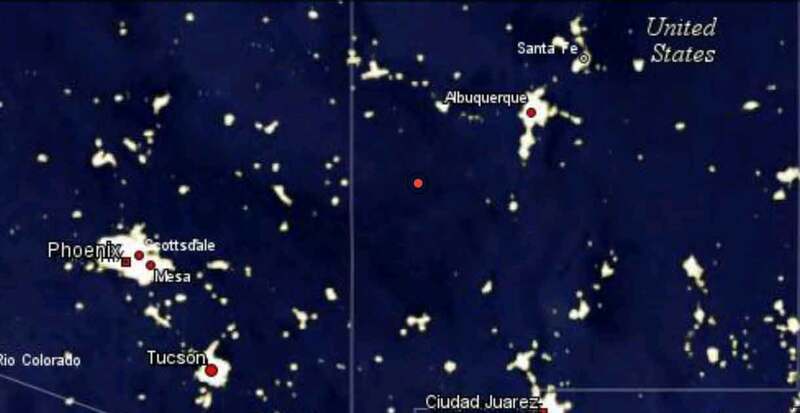 The Observatory consists of 15.41 acres situated near Pie Town, New Mexico. The subdivision is a dark-sky friendly location with several other observatories nearby. There are covenants to protect the Bortle Class 1 skies as well. There is commercial power right to the observatory (underground cable.) There is also DSL available as well as fractional DS3. Fiber-optical cable runs along Hwy 60 which is about a mile from the Observatory. Everything in the Observatory is sold as-is. The telescope has not been used since 2006. It may be possible to lease the observatory, please contact me for inquiries. 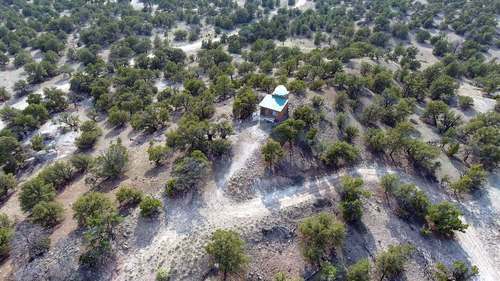 This is a 360-degree aerial view of the observatory. If you view the image above and then look at the flash video below you will see how the camera actually looks like (even this image is lower resolution than the actual video.) I also need to remember to clean up all the scrap metal before creating aerial videos. Here is a 1-minute video with a closer view of the Observatory. Everything in the Observatory is sold as-is. The telescope has not been used since 2006. 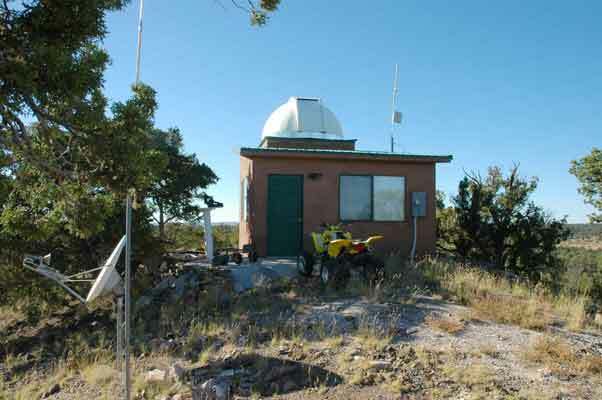 The Observatory was built by professional builders with all permits and inspections. 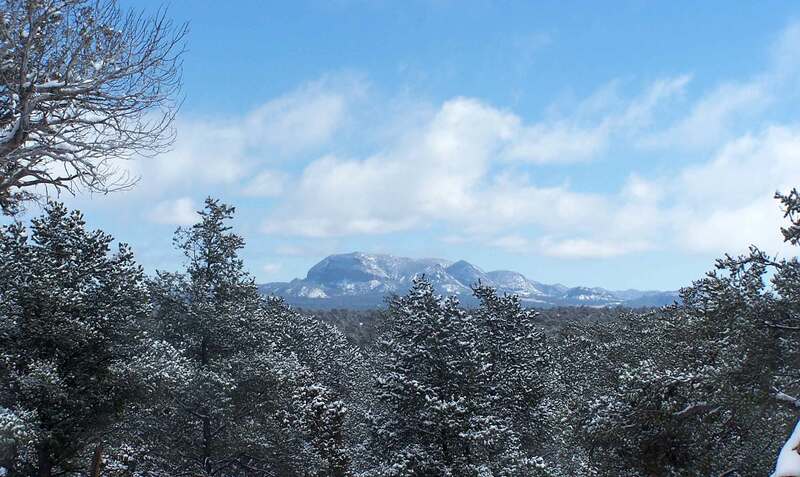 Located in beautiful Catron County New Mexico, situated approximately 180 miles southwest of Albuquerque, approximately 100 miles west of Socorro and about 70 miles east of the Arizona border. Lots of trees. 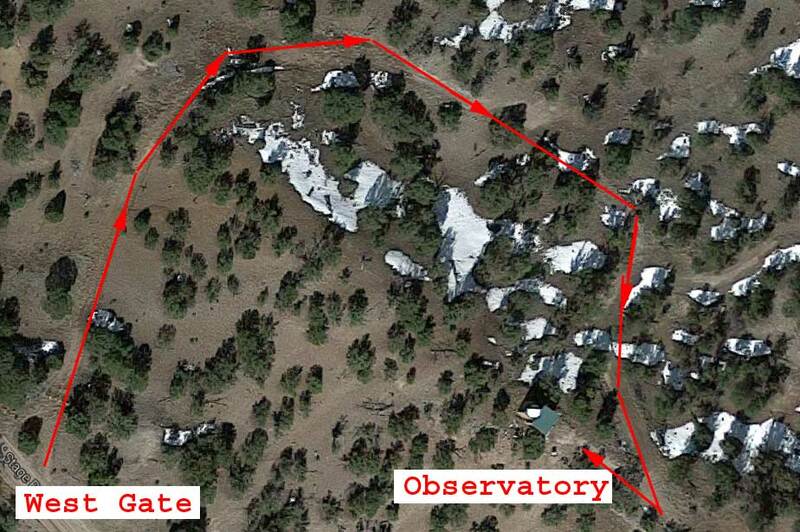 The Observatory has it’s own access road, we call that the “West Gate” . There are (2) parcels adjoining each other. 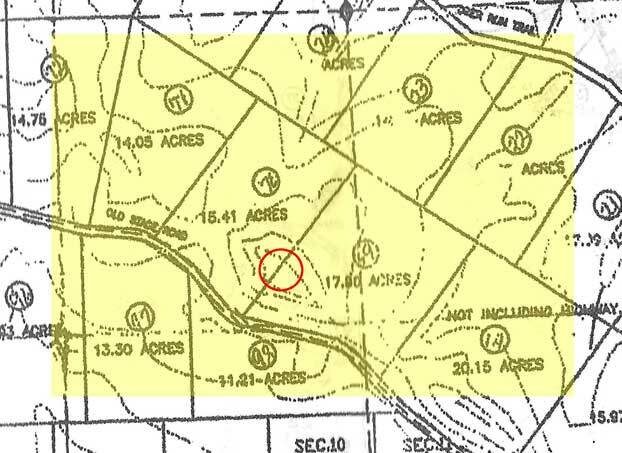 Lot 70 is 15.41 acres. Lot 69 is 17.90 acres. Lot 69 is not for sale at this time unless it is sold to whomever buys the Observatory. 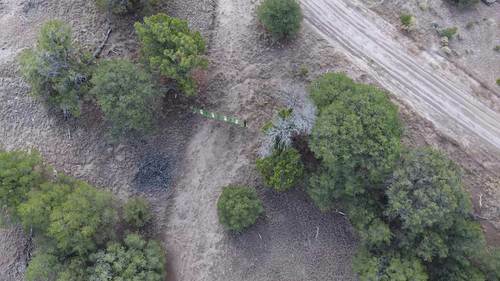 There are plenty of suitable locations on Lot 70 to build a home on and the terrain on the southern slope (Old Stage Rd.) is perfect allowing great locations for solar and wind power. Note: Lot 70 is the only one for sale at this time though potentially if you purchased Lot 70 then Lot 69 (17.90 acres) would also be available for purchase. NOTE The current mortgage (on the land) is assumable! (If you purchase both parcels.) I can probably offer owner financing once you have purchased Lot 70. I recommend that you consider one of these options if low on cash. Contact me for details. Not only is it an amazing Bortle Class 1 site, it's also an excellent retreat location! Check out Catron County's demographics… Everyone here is well-prepared for the most part. Updated: 2010-04-07 DSL and phone now available. If you work on the net this is perfect for you. This is the "West Gate". The observatory (Lot 70) has it's own entrance allowing full access to the land on Lot 70 as well as a road continuing up to the observatory hill. One of the greatest resources we have is the Clear Sky Clock for Top Of The World Observatory. Our benefactor, Attila Danko has been kind enough to provide it through thick and thin. We are immensely grateful and urge all astronomers to help support this invaluable service. 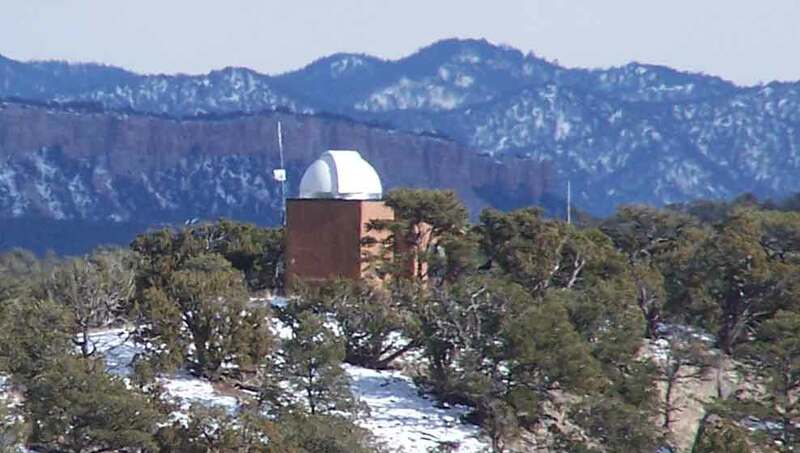 The data provided by the clear sky clock is slightly more accurate than NWS: ABQ weather forecast but we use both to keep us informed. The sky is Bortle Class 1 (explanation) which is pretty amazing at times. The Observatory is situated in Lot 70 and partially extends onto Lot 69 (see red circled area.) We will create a perpetual easement for access to last portion of the road leading to the observatory which also crosses into Lot 69 but also for the space around the observatory itself so you will effectively own all of the top of the hill. Of course it would be much easier if someone purchases both lots.